Gary Taubes is an investigative science and health journalist and co-founder and director of the non-profit Nutrition Science Initiative. He is the author of The Case Against Sugar (2017), Why We Get Fat and What to Do About It (2011)and Good Calories, Bad Calories (2007). Taubes is the recipient of a Robert Wood Johnson Foundation Investigator Award in Health Policy Research, and has won numerous other awards for his journalism. These include the International Health Reporting Award from the Pan American Health Organization and the National Association of Science Writers Science in Society Journalism Award, which he won in 1996, 1999 and 2001. Taubes graduated from Harvard College in 1977 with an S.B. degree in applied physics, and received an M.S. degree in engineering from Stanford University (1978) and in journalism from Columbia University (1981). Ben is an award-winning writer, broadcaster, and medical doctor who specialises in unpicking scientific claims made by scaremongering journalists, government reports, pharmaceutical corporations, PR companies and quacks. He was trained in Medicine at Oxford and London, and currently works as an academic in epidemiology. Ben wrote the weekly Bad Science column in the Guardian from 2003-2011. Bad Science the book (4th Estate) has sold over half a million copies worldwide, reached #1 in the paperback non-fiction charts, and is being published in 31 languages. In his second book, BAD PHARMA (4th Estate, September 2012), Ben puts the $600bn global pharmaceutical industry under the microscope, to reveal flaws throughout the ecosystem of evidence based medicine. In October 2014 he published his collected journalism in a volume entitled I THINK YOU'LL FIND IT'S MORE COMPLICATED THAN THAT (4th Estate). Dr David Johnson is a brain and spinal neurosurgeon, who has had a pioneering role in the establishment of multidisciplinary spinal practices, and holistic care for neurosurgical patients in Brisbane, Australia. 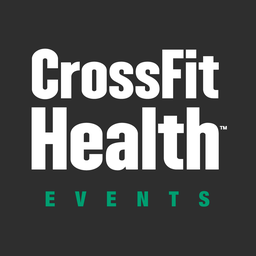 Dr Johnson’s affiliate CrossFit Neuro represents the first Clinical CrossFit Box in the World and a model for the future direction of effective preventative medicine and health care. CrossFit Neuro is an integral part of patient care at St Andrew’s Hospital, whether rehabilitating to avoid spine, shoulder and vascular surgery, recovering day one after unavoidable surgery or being referred by the Hospital Emergency Department for intolerable Spine Region pain and metabolic disease. The Clinical CrossFit Box can provide a unique and imperative service that no arm of modern medicine currently offers. Dr Johnson is credited with launching 3 Clinical Functional Movement Training Centre’s in Queensland and now the World’s first in hospital facility being part The Back Pain Centre. Dr Johnson's expertise covers a wide range of brain and spinal neurosurgery including sacro-iliac and global spinal reconstructive surgery as well as spinal cord and peripheral neuro-stimulation pain surgery, minimally invasive keyhole techniques, neuro-oncology, acute cerebro-vascular surgery, brain and spine trauma and all general cranial surgery. A priority in Dr Johnson’s service is delivering a fundamental message relating to the foundational pillars of health which are imperative to everyone commencing with defining and delivering nutrition and movement proficiency. The alarming extent of preventable and reversible chronic metabolic and physical disease that plagues our patients, presenting with advancing obesity, diabetes, cardiovascular disease and musculoskeletal pain, in particular spine region pain is reflective that these fundamental pillars of health are being neglected by our health industry. Irrespective of the presenting symptom, every doctor, regardless of specialty should be addressing these fundamentals of health at every opportunity. The serendipitous synergy of Dr Johnson’s embrace of CrossFit, Olympic Weightlifting, spinal surgery and scientific enquiry into the global failing of back pain management has nurtured the evolution of a paradigm shift in back pain treatment. He has established a clear definition of the disease that causes chronic back pain symptoms which remains today as the world's leading cause of disability and misleadingly indiscriminant physical ailment. “Neurosurgery is a huge ordeal for my patients and families and it is the ultimate privilege to be entrusted with their health”, Dr David Johnson. Michael R. Eades, M.D. received his BS in civil engineering from California State Polytechnic University. After working for six years in engineering, he made a career change and enrolled in medical school at the University of Arkansas for Medical Sciences. After residency Dr. Eades, along with his wife, Mary Dan Eades, M.D. started one of the first chains of urgent care centers in the United States. During his career treating patients in urgent care facilities, Dr. Eades developed an interest in nutritional medicine. His subsequent work with thousands of overweight patients made clear to him that encouraging a reduction of carbohydrate intake worked better than most medications for obesity, diabetes, high blood pressure and a host of other disorders. After years of refining his dietary program, Dr. Eades, along with his wife, wrote Protein Power, a book detailing their methods that went on to become a New York Times bestseller for over a year. Since that time the Drs. Eades have published 13 more books in the medical and nutritional field and authored a top 100 health blog at proteinpower.com. They have appeared on ABC, NBC, CNN, Fox, PBS, and hundreds of local TV and radio programs advocating the low-carbohydrate nutritional approach. Thomas N. Seyfried is Professor of Biology at Boston College, and received his Ph.D. in Genetics and Biochemistry from the University of Illinois, Urbana, in 1976. He did his undergraduate work at the University of New England where he recently received the distinguished Alumni Achievement Award. He also holds a Master's degree in Genetics from Illinois State University, Normal, IL. Thomas Seyfried served with distinction in the United States Army’s First Cavalry Division during the Vietnam War, and received numerous medals and commendations. He was a Postdoctoral Fellow in the Department of Neurology at the Yale University School of Medicine, and then served on the faculty as an Assistant Professor in Neurology. Other awards and honors have come from such diverse organizations as the American Oil Chemists Society, the National Institutes of Health, The American Society for Neurochemistry, and the Ketogenic Diet Special Interest Group of the American Epilepsy Society. Dr. Seyfried previously served as Chair, Scientific Advisory Committee for the National Tay-Sachs and Allied Diseases Association. He recently received a Lifetime Achievement Award from the Academy of Complementary and Integrative Medicine, and the Uncompromising Science Award from the American College of Nutrition for his work on cancer for his work on cancer. He presently serves on several editorial boards, including those for Nutrition & Metabolism, Neurochemical Research, the Journal of Lipid Research, and ASN Neuro. Dr. Seyfried has over 180 peer-reviewed publications and is author of the book, Cancer as a Metabolic Disease: On the Origin, Management, and Prevention of Cancer (Wiley Press). His full list of peer-reviewed publications can be found on PubMed. William Davis, MD, FACC is cardiologist and author of the #1 New York Times bestseller Wheat Belly: Lose the Wheat, Lose the Weight and Find Your Path Back to Health, Wheat Belly Total Health: The Ultimate Grain-Free Health and Weight-Loss Life Plan, and two cookbooks, the Wheat Belly Cookbook and the Wheat Belly 30-Minutes (Or Less!) Cookbook, also NY Times bestsellers and, most recently, the Wheat Belly 10-Day Grain Detox. His books have sold over 3 million copies in the North American market and are published in 37 countries. Major national media appearances include the Dr. Oz Show, CBS This Morning, National Public Radio, and Live with Kelly (Ripa), featured on Bill O’Reilly and the Colbert Report, and in print media including the covers of First for Women and Woman’s World magazines, the New York Post, the Chicago Tribune, the Atlantic, and Women’s Health. Dr. Davis has built a substantial online presence on his Wheat Belly Blog with more than 700,000 visits per month, over 20 million views since launch in September, 2011. There are also substantial followings on social media, including over 300,000 followers on Facebook. More than a book, more than social media, the Wheat Belly phenomenon has proven to be a movement, growing over time and creating an audience eager for food solutions that are healthy, delicious, convenient, and consistent with the Wheat Belly message. Dr. Davis is a graduate of the St. Louis University School of Medicine, with training in internal medicine and cardiovascular disease at the Ohio State University Hospitals, advanced training in angioplasty at the Case Western Reserve University Hospitals where he also served as Director of the Cardiovascular Fellowship and Assistant Professor of Medicine. He now focuses on preventive care and providing self-empowering strategies to the public through his books and projects. Dr. Jason Fung trained in Los Angeles and Toronto as a kidney specialist. It soon became obvious that conventional medical treatments were failing patients. The problem is obvious, in hindsight. Many of today’s medical issues are related to obesity and if you don’t deal with the root cause, the other problems don’t get better either. Following core physiologic principles, he founded the Intensive Dietary Management Program to provide a unique treatment focus for type 2 diabetes and obesity: rather than focusing on medications, this clinic focuses on dietary changes that are simple yet effective. He pioneered the clinical use of therapeutic fasting for weight loss and type 2 diabetes reversal. Dr. Fung is the author of The Obesity Code, The Complete Guide to Fasting and The Diabetes Code He is also the scientific editor of the Journal of Insulin Resistance and the managing director of the non-profit organization Public Health Collaboration (Canada), an international group dedicated to promoting evidence based nutritional information. For the last 14 years, Steve Tenhouse has served as the chief executive officer of Kirby Medical Center, a 16-bed acute care hospital, physician group, and affiliate owner of CrossFit KMC located in Monticello, Illinois. Kirby Medical Center has received state and national recognition, including named a “Top 20 Critical Access Hospital for Quality” by the National Rural Health Association in 2017; and consistently scores in the top 5% of rural hospitals nationwide for patient satisfaction and employee engagement. Steve has a Masters in Health Administration from Ohio University and is a Fellow with the American College of Healthcare Executives. When not coaching or working out at CrossFit KMC, Steve enjoys triathlon, cycling, and playing bad golf. With nearly a decade experience of CrossFit in a healthcare environment, Josh Newton currently serves as both the Director of Health and Wellness at Kirby Medical Center as well as Head Coach at CrossFit KMC located in Monticello, Illinois. Josh has a Masters in Human Performance and Injury Prevention and is a Certified CrossFit Trainer (CF-L3). When not coaching or training at CrossFit KMC, Josh enjoys hunting, fishing, playing golf, and spending time with his wife and two beautiful children. Axel Pflueger, MD PhD FASN, is a trained Cardiac Surgeon, Board Certified Internist and Board Certified Nephrologist. He has a PhD in Pharmacology, and currently serves as the Medical Director of the Center for Comprehensive & Diagnostic Medicine in New York City, and as a Professor at New York Langone Medical Center where he established a patient registry of more than 44,000 patients with Chronic Kidney Disease. Axel spend nearly 20 years of his career at the world-famous Mayo Clinic, Rochester, MN, where he served as the Director of the Diabetes and Kidney Disease Clinic overseeing a patient registry of more than 21,000 patients with diabetes. He has conducted multiple basic, translational and clinical studies and investigations on Chronic Disease and has published multiple studies, discoveries, reviews and book chapters on the pathogenesis of Chronic Diseases such as Diabetes and Kidney Disease. Some of his hallmark discoveries are the early manifestations of sugar on vascular functions and kidney disease and the successful cure of chronic diseases by life style therapy with diet & exercise through clinical treatment algorithms and implementation. Dr Kevin Ramsamy is a Senior Registrar at Steve Biko Academic Hospital and a Masters of Medicine student in urology at the University of Pretoria based in the Republic of South Africa. Having completed his undergraduate training in the University of Kwazulu Natal He went on to specialize in Urology. He is completing his research and thesis on the hypercoagulability of Prostate cancer patients. His special interests include Prostate cancer and Urogynaecology.